2. 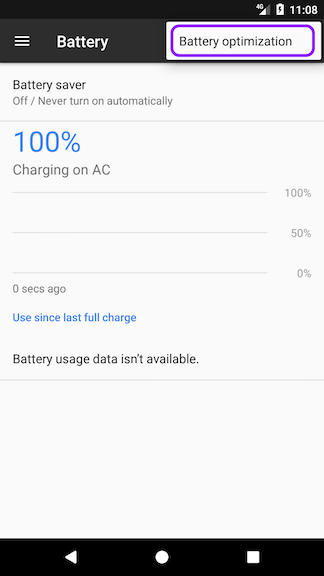 Tap the more button on the action bar at the top right, and choose Battery optimization. 3. 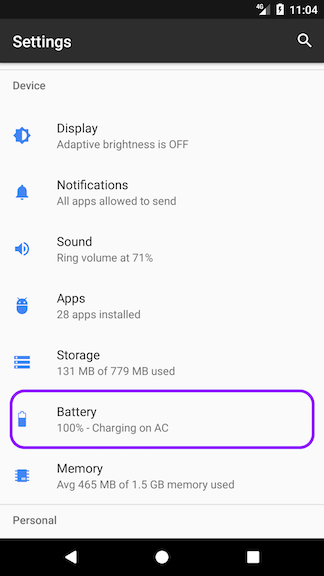 On the Battery optimization screen, switch to the All apps list from the drop-down to see all of the apps on your device. 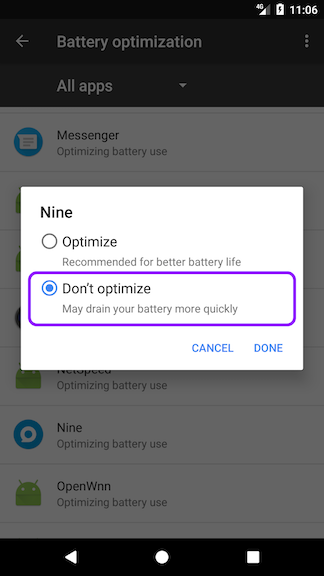 Tap Nine from the menu and choose Don’t optimize to exclude Nine from the Doze feature. Please note that Nine is no longer affected from Doze feature.